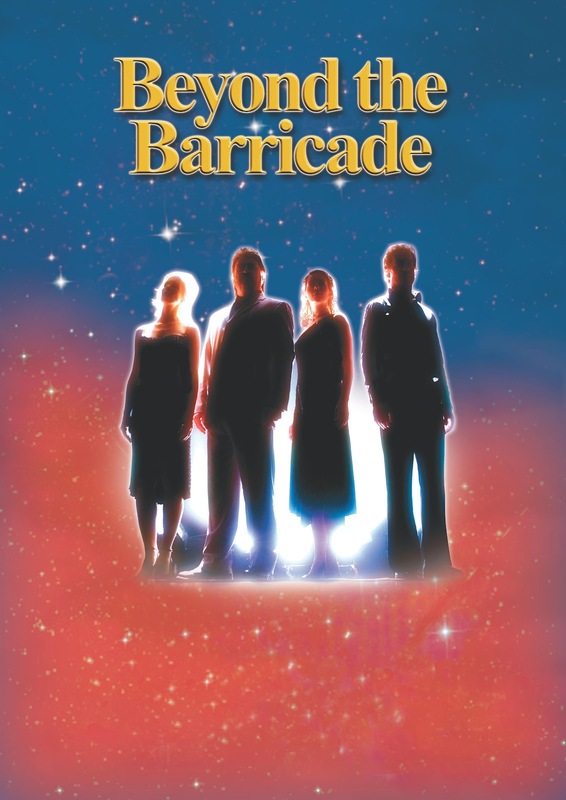 Beyond the Barricade is the brainchild of Andy Reiss and David Fawcett, both veteran performers of Les Miserables, who are currently touring with Rebecca Vere and Katie Leeming, experienced musical theatre performers themselves. 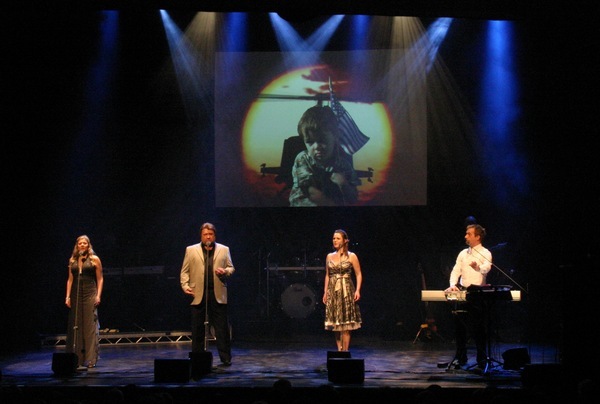 The foursome reproduce favourite numbers, as well as a couple of less well-known songs, from a range of hit musicals including; The Phantom of the Opera, Miss Saigon, Evita, Blood Brothers, and of course Les Miserables. Formed in 1999, the show is now in its thirteenth year. This was an impulse buy – so it was with trepidation that I went along tonight. From the pictures on the website it looked like a few synths and some vocals. But boy was I wrong. 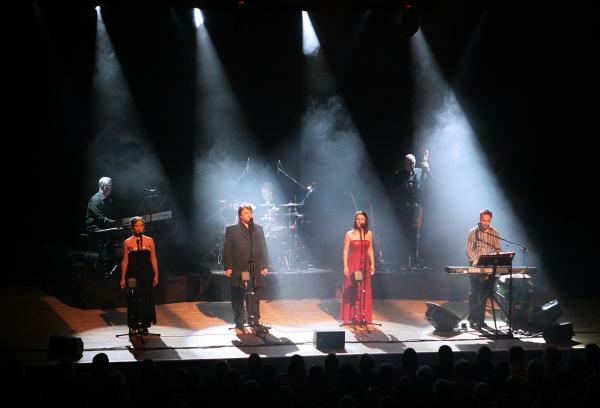 Yes, the band is small but it packs a hell of a punch and the quality of the vocalists was absolutely excellent, Rebecca Vere and Andy Reiss really shone and as well as being a fine vocalist, David Fawcett did an appealingly warm turn as the show’s MC. This was a comprehensive run through of the greatest hits of the West End – with the Les Mis finale being particularly impressive. The only minor quibble of mine would be the Lion King and Little Shop of Horrors numbers which didn’t stand up as well as the rest of the programme – not because they weren’t well sung – they just didn’t have the oomph that the rest of the show did. Really strong singers, the best songs of musical theatre, a full house of every age and a standing ovation at the end – what more could you want on a Monday night in February in Glasgow. Well worth the admission price – a great night’s entertainment for all. Highly recommended.